Every Sunday night when I was growing up we'd come home from Sunday night church and have popcorn. We'd also have popcorn when we'd watch the Miss America pageant every year. On a different note, I've given up exercising to YouTube (as I mentioned in this post). I've actually joined Life Time Fitness.... and I think I'm going to like it! I've been once.... and I saw ladies my age that were kind of chunky and weren't wearing super workout clothes, so I thought: it's going to be okay. Plus I have a trainer (for 8 sessions) who is very nice, and makes me feel okay. She actually has a 'client' who is 86, so that made me feel more okay. Well, right now I'm feeling sore. On a different note, as you may (or may not) know I have kept our Christmas tree up for years. It's been a birthday tree, an autumn tree, an Valentine's tree, an Easter tree, a Fourth of July tree, etc., etc. Well, I'm ready for a change.... so this week we're taking it down! Here are some pictures through the last few years. We've enjoyed the tree, but I'm ready for a change. Speaking of change, I've changed my hours I play in the tea room from 11:30 to 1:30 to 12:00 to 2:00 (for various reasons - mainly because when I leave at 1:30 the tea room is full!). I have a calendar on my website that I update every 2 weeks or so. Click HERE to go there, if you'd like. Somehow having that website - and this blog - makes me feel like an 'official person' or something. 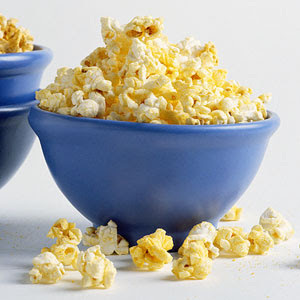 The Sunday night popcorn tradition sounds good. Our Sunday night dinner was cold roast beef sandwiches with mustard and with milk which I hated (the sandwich part). That's not a very nice way to put it, but it is true. Of course, I ate it and never thought of doing anything different. Would today's kids do that? I love your tree, but sometimes you do need a change. My previous trainer was in his 60s or so and he worked out with people a lot older than you are. Just be healthy and happy. And take care of you.